8 Donkeys Blog | We’re All In! Eight donkeys crested the ridge and looked down into the valley. The had returned from countless adventures. They walked down from the pass – and brought hell beer, cigars, and ridiculous stories with them. The return would be glorious. Or at least there would be good scotch. Sgt. Crowley Should Stay Home! We are now at the eve of the great “Picnic Table Summit”. 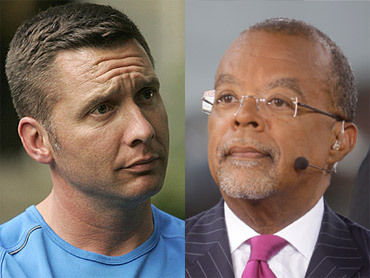 No doubt right now Professor Henry Louis Gates Jr. and Sgt. James Crowley are now preparing for their trip to the White House. Let me give you a little sneak preview of what’s going to happen and why Sgt. Crowley should stay home. Professor Gates will arrive at the White House first, due to his long standing relationship with the President. He will pose for photos with the President as they laugh about the fast one they are about to pull on America and the officer himself. Sgt. Crowley will arrive afterward wearing a suit and not his police uniform because that would be too inflammatory. We don’t want to upset the venerable Dr. Gates after all. In fact, Sgt. Crowley has now doubt been instructed not to be seen in his uniform tomorrow. They will stop and pose for pictures with the press corps and then wonder over to the famed picnic table, that Father Obama had installed next to his children’s swing-set. President Obama will waive his hands so the press looking out the window can see him “making a point”. Afterwards, despite the fact that racial profiling had NOTHING to do with the case, with Crowley to his left the President will make a short statement talking about the dangers of racial profiling and how he’s experienced it himself, how he fought racial profiling while he was a state senator. Despite the fact that racial profiling had NOTHING to do with the case, our great Papa Obama will use this “teachable moment” to reassert the ills of the retched practice. And Sgt. Crowley WILL be made to look guilty when he has done nothing wrong. Ohh I guess he might push the President out of the way and be like ” what the Hell!” but the likelihood of that happening is exactly zero. And the press wouldn’t do their job, even if they were given an opportunity to ask unscripted questions and weren’t pre-authorized. Despite the fact that racial profiling had NOTHING to do with the case, Obama will save face by using this opportunity to to address this horrible practice but will do it at the wrong time and certainly for the wrong reasons. With a single speech about racial profiling (which didn’t occur) Papa Obamawill immediately save face for weighing in too early when he knew none of the facts and exonerate his friend from the ridiculous manner in which he conducted himself. Mark my words Papa Obama will not say “Sgt Crowley was not racially profiling Gates when he made the arrest”, because to do so would be to publicly convict his friend and fellow academic. Despite the fact that racial profiling had NOTHING to do with the case, the press will lap it up, like the Obama Stenographers they have turned out to be. Suddenly Professor Gates behavior as documented in this police report and ccorroborated by other African-American Officers who were at the scene, will no longer be the story. Instead it WILL become a story about racial profiling because the president and his guilty-racist friend have made it one. And Sgt. Crowley will be the cover boy. Police officers leave their homes, their spouses, and their children every single day to protect the people they work for and some don’t know that they won’t be coming home. When Sgt. Crowley responded to the burglary in progress call he didn’t ask if the home was owned by a black man or a white man. The fact is he went to the scene and confronted the very first person he saw in the property, not knowing if he had a gun or was going to harm him or someone else. It is tragic that in that same type of scene every single day a police officer dies in the line of duty. Yet their actions can be so easily second guessed and their motivations distorted. What is the chance that Obama turns to his friend and says ” You were out of line! This fine officer did nothing wrong.” None. The only possible outcome of this meeting is that Sgt. Crowley will be stained with the stench of racial profiling not by arresting a racist but by agreeing to be rolled out for the dog and pony with him afterwards. Sgt. Crowley Stay Home. I’ll send you a 12 pack to your house if you’d like a beer. You could have a far more positive influence if you didn’t show up for this mockery. You still won’t get your apology. Forget Government bailouts, forget handing over taxpayer money….Ford, GM and Chrysler employ Bubb Rubb and Lil’ Sis! Enjoy these classic videos of Bubb Rubb and Lil’ Sis. The Dukes of Hazzard remake has it’s moments, Boss Hogg as Lil’ Sis is great stuff. So I saw this article by NPR on why we love lists and I just could not help it – I automatically thought of making a list of my favorite Top Ten lists from Letterman. And the #1 Top 10 List is….. I don’t know what’s wrong . . . but take this! Patient: “OOOOKKKKK, what is this medicine for? Would any of us accept this prescription from a physician? I don’t think so. No, if we have a problem we typically try to understand what is causing the problem and address the cause of the issue. In fact, in medicine we spend a great deal of time and money trying to get at the root cause of problems. Only once we’ve identified the root cause, can we then get a diagnosis, and only then can we embark on a proper treatment. Why then are we in such a hurry to pass a $900 Billion “Stimulus” Package without identifying the root cause of the problem it is supposed to address? Logically it follows without identifying the cause of the problem that this package could exacerbate the problem as much as it could help? We are talking about passing a Spending Bill that will require the Treasury to Borrow $900 Billion dollars (mostly from the Chinese) and then spend it, with the expectation that spending more than all but 11 National Economies will restart ours. And we are not talking about HOW we got here. It was easy for Democrats on the campaign trail to PIN this on the Bush Administration. Well, having made such claims, I expect they can now tell us exactly what policies or mistakes the Bush Administration made and how this Package will address those problems . . .right? No? Well why not? Why would the Congress with overwhelming Democratic control not turn a critical eye to the past and point out the previous administrations warts and scars for all to see? Are they too busy delaying the rollout of Digital TV Broadcasting, debating the credibility of tax cheats and lobbyists, and setting the salaries of CEO’s? Or could it possibility be that even a rudimentary analysis of this crisis would implicate them and their policies? Where has PERSONAL RESPONSIBILITY disappeared to? Now this is a rather long article detailing the wave of lawsuits against various mortgage companies and banks. Now unless you are Lazlo Hollyfeld and lived in a secret room accessbile only via the closet, you understand that we are in the midst of some pretty tough times right now. Depending on who you read, watch, or listen to the problems are the result of the bottom falling out of the housing market. No real need to further beat that dead horse, everybody knows or has some general understanding what happened there. Now, where I do want to go is the ridiculous notion of people suing their mortgage lenders for their own failure in making good sound judgements. I will start by talking about a couple profiled in the article presented at the begining of this post. A couple from Boston ran into some tough times, the wife lost her job in early 2007. The article is a little vague on details but they at some point realized they needed to get their loan reworked from a refinance done in 2004 (according to the article that loan was a fixed rate loan). Why if you refinanced in 2004 to a fixed rate loan, do you need to modify the terms of your mortgage now? This means that you weren’t misled into signing some exotic mortgage and are suddenly under the gun looking at a huge jump in your mortgage. The fact you lost your job, doesn’t mean the terms of your loan should be modified. I am assumming that despite a job loss by one member of the household the mortgage was still being paid. It’s only after determining that in order to qualify for “assistance” the payments stopped. People lose their jobs all the time, other than medical or divorce it’s a big reason financial problems emerge. This is just a stupid and a ridiculous lawsuit. Sure the lawyer in the article can state they are suing because WAMU didn’t keep their end of the bargain to help struggling homeowners. Sure the couple recognized they were going to be in trouble, but you don’t stop paying your mortgage because you want to make yourself better suited to receive help. In addition you do not request monetary damages because of the damage to your credit rating, claiming it was the fault of the mortgage company not responding to your requests. YOU STOPPED PAYING YOUR MORTGAGE ON PURPOSE…PERIOD! The damage to your credit was done the moment you decided you would show the bank who’s boss and stop making payments in order to get their attention. That would be like taking a laxative because you are constipated, going down to the basement with no bathroom to watch TV. Then in your rush upstairs to the toilet the basement door gets stuck, you crap your pants and sue the maker of the door or even the laxative maker for not detailing all the possible scenarios that could cause an “accident” . Mr. and Mrs. Boston resident, I feel sorry for you. You lost your job that is tragic, but that still does not absolve you from paying your mortgage regardless of what you are trying to work out with the bank. In case you have been living under a rock, the mortgage assistance has been targeted at those who were “taken advantage” of anyway, not those who ran into trouble due to normal life things like: losing a job. Which leads me to the next “victim” outlined in this article. The gentleman from Las Vegas who feels duped because he DIDN’T read the loan docs before sigining them. This is another great example of personal responsibility. If you read the article from above, you will know then that this man has had a tough life regarding his health and lives on Social Security. The man ran into money troubles in 2005 and refinanced his loan to get a little money. A lender he supposedly worked with for years worked to get his refinance complete and encouraged him to not worry and just sign the 200 page loan document….trusting this person, he did just that. Low and behold, he signed docs committing him to am adjustable ARM loan, with a ballooning payment. He claims this “subprime loan” should not have been given to him, he was better than that (according to him he had a 740 credit score and shouldn’t have been in that type of loan period). My first question: how did you know you were better than that loan? Secondly, I would argue that if you are refinancing due to debt problems and needed money, you might have been a better candidate for a sub-prime loan. Finally, if you were in trouble with debt and needed money, did you really have a 740 credit score? I am sorry Mr. Vegas resident that your health over the years has led you to monetary problems. It still does not remove the fact you signed something that you shouldn’t have. This leads me to my final part of this article, personal responsibility points. A home is the single largest financial investment most people will make in their entire lives. You look through all the information in the documentation provided from your mortgage company before signing. No matter how much you want the house, if the terms are not right….DON’T SIGN IT. In the end regardless of what somebody tells you, you have to pay the bills. Home Ownership is not for everybody. If you don’t have the personal responsibility to be diligent in saving money, then maybe you shouldn’t own a home. The upkeep and other miscellaneous expenses cost money. Money that should not come from a credit card, money that should come from a rainy day fund. A mortgage is a contract with a company that YOU WILL REPAY what the lender took a risk in giving you. Sure there may be lenders with fewer morals than others (see #1 above to weed those out). There is nothing in that contract however that states you will get your loan terms re-worked should you run into any sort of trouble. If you run into troubles during your lifetime, you do what you can to make the payments. If you have to get a 2nd job to pay the bills, you do so. Sure it puts a slight burden on the family, but so does bankruptcy and foreclosure (which actually puts burdens on your neighbors and other homeowners). Aside from medical expenses that arise from an unexpected diagnosis with an illness that requires expensive treatments that insurance doesn’t cover, there are few reasons you can’t work hard to keep to your obligations. If you are laid off from a job and burn through your emergency funds, you should not be turning down job offers because they may not be what you want. I have seen and heard stories where people lost their jobs and claimed they couldn’t find another one. Only to find out they were turning down job offers because it wasn’t paying enough or wasn’t their ideal job. Let’s see…you are not earning an income, likely living off government assistance and a job that pays less isn’t better. Well let me be the first to tell you: it is enough! Less money coming in is better than NO money coming in. See point #4 if necessary. I will not deny that some mortgage lenders, real estate agents, appraisers and others in the home industry were less than honest during the housing boom. However, this is no different than in any other time or industry. It’s you the consummer who needs to take responsiblity to know where your money is going. I equate this responsibility to getting a 2nd or 3rd opinion from a doctor when diagnosed with an ailment. If you think possibly that the 1st doctor is wrong, visit a 2nd one. Take responsibility for your actions and if you screwed up, admit it, work to fix it and move on. However, putting the blame on those who you claimed took advantage of you is not taking personal responsibility. As everybody is aware for some time now the US and the World economies are reeling. We are in the midst of the worst economic situation most people in the US have ever experienced (and for me hopefully the worst we will ever see). There are new companies laying off employees what seems like daily….500 here, 3000 there. Our Federal Government’s solution is to turn on the printing presses and churn out more and more money, then give it out in the form of various “stimulus” bills aka new age welfare. We have already seen them bailout big banks and the auto industry, now the latest group to begin stepping forward are state and local governments. The states you see are also sufferring due to falling property values, a drop in consummer spending, etc.. all resulting in dwindling state revenues which are used to pay for all the great government services that are available to each of us. Case in point I give you North Carolina. You see North Carolina is likely going to experience a $2 billion deficit. So what’s one to do: If you are Governor Bev Purdue, you take a trip to Washington DC to meet with the legislature and President-Elect Obama’s team. To do what – request North Carolina be earmarked for some of the next round of “stimulus” money. Now here’s the kicker, before leaving to visit Washington DC SHE APPARENTLY SPENT 2 HOURS POURING THROUGH THE BUDGET AND FOUND $1 BILLION IN SAVINGS IN SAID 2 HOURS, BUT APPRENTLY THAT’S ALL SHE CAN FIND. Huh, what..2 hours? Two hours finds $1 billion, you mean to tell me that you couldn’t possibly spend say a week or maybe a month and find the other $1 billion needed to close the gap. Instead you are calling all bets off after 2 hours, that’s it the timer has gone off I can’t spend another minute on this because I just can’t….then you run with your hand out to Washington stating – I need another billion. I spent 2 hours looking and I can only find half of the $2 billion deficit. ***Quick sidebar – Obama if you happen upon this story, you may want to get Bev Purdue a role in your administration. Imagine what she could do for the Federal Budget in 2 hours. If Jimmy Hoffa’s case is still active Mr. Lawman you might want to consider sending the case files over, Gov. Purdue would solve it in 2 hours. Ok, moving on. If you found $1 billion that quickly, then my thoughts are: what was so easily spotted that you could quickly determine in 2 hours it can be cut? Gov. Purdue I ask you – what is in that $1 billion and do we really need it back in the budget? What this proves to me is that government budgets whether state or federal, are full of big chunky pieces of pork fat. Don’t get me wrong Gov. Purdue I know you yourself didn’t spend 2 hours alone, I am not that naive. My point is this – if you spent 2 hours and found a billion, imagine what you could do if you got your staff working for days and weeks on this. I would bet you could not only find another billion, I bet you could exceed a billion. For those who read this, you should pay careful attention to not just your representation in the federal government but those who are responsible for minding the books in your state and local government. Governors and State legislatures are combing through their budgets trying to close growing deficits. You will likely see this in the form of cuts in services (some good, some not so good) and in the form of raised taxes…or the case of Oregon and possibly North Carolina new ways to tax it’s citizens via a mileage tax that you pay based on the number of miles you drive in a year. Some may even approach the federal government for a handout. Finally, keep this in mind: as the printing presses continue to print money, the value of the money in all our wallets, bank accounts, IRAs, 401Ks or whatever investment vehicle could be worth less (think supply and demand and what happens when a market gets flooded with too much of the same product). If we just give money to the states or even businesses, are we really making them more productive? Or are we really just delaying the inevitable? Should the citizens of Washington State be responsible for bailing out North Carolina? That’s exactly what will happen because the Federal government will need to recoup that money at some point….how…..taxes, at some point China and others will stop being our ATM!